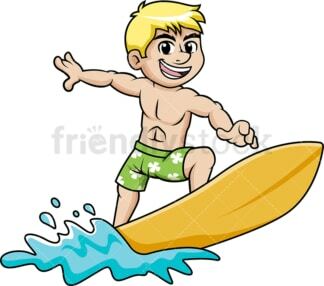 Royalty-free stock illustration of a fit man riding a surfboard and rushing through blue water. Royalty-free stock illustration of a male water skier on two skis, wearing a life jacket and grinning while holding on to a cable, being pulled by a boat or a jet ski. 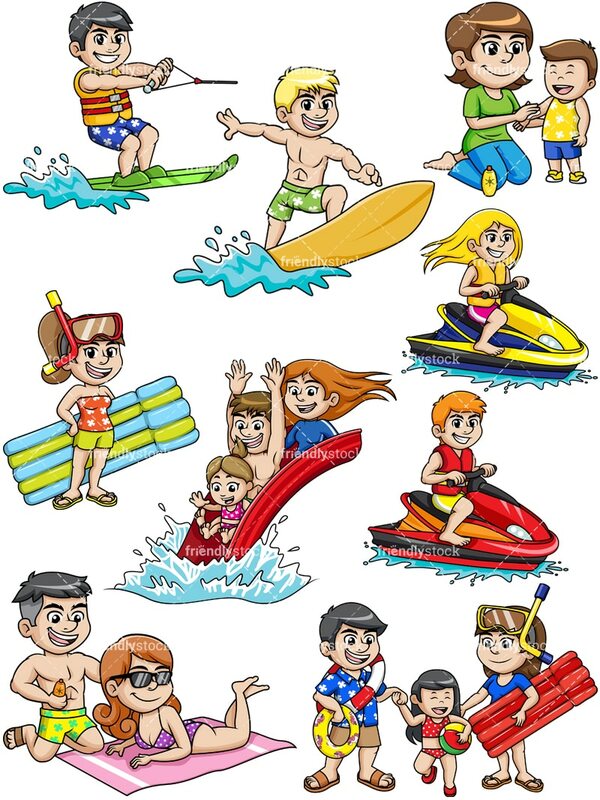 Royalty-free stock illustration of a man wearing a life jacket and grinning as he rides a red just ski during summer. Royalty-free stock illustration of a young woman wearing a life jacket and grinning as she rides a yellow just ski during a summer vacation. Royalty-free stock illustration of a woman smiling as she applies sunscreen to her little boy to protect him from the summer sun. Royalty-free stock illustration of a woman holding an inflatable mattress and wearing snorkel gear – she wears the mask on her head as she prepares to go into the sea. Royalty-free stock illustration of a smiling man applying sunscreen to a woman lying on the beach during their summer vacation – probably husband and wife. 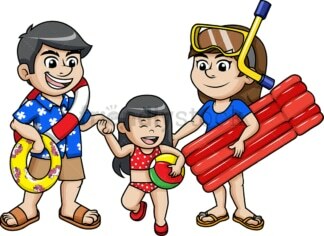 Royalty-free stock illustration of parents holding their child by the hand while going to the beach. The man holds floties and a lifebelt for the child – the woman holds an inflatable matress and snorkel gear. 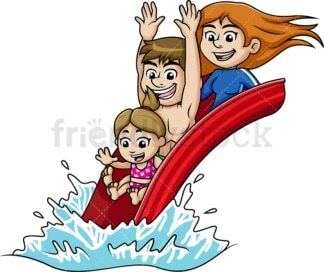 Royalty-free stock illustration of parents and child going down a water park slide looking like a happy family – still on the slide but about to fall in the water.